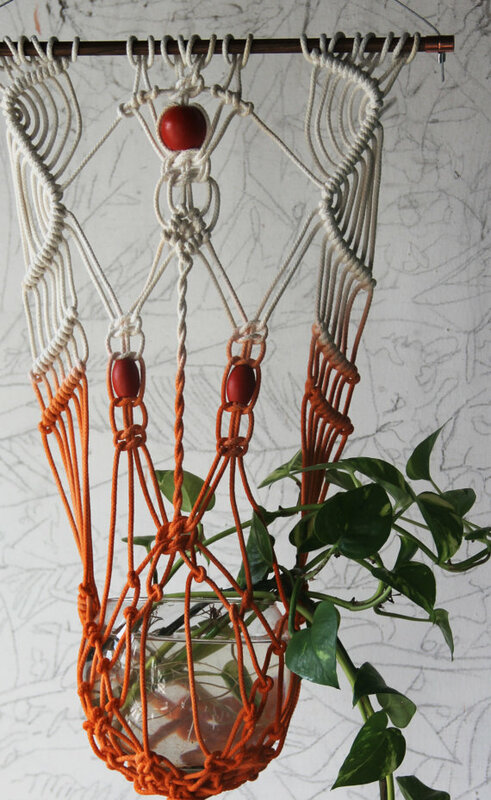 Handmade and dyed macrame plant hanger. Oak dowel 13 1/2” wide, planter aprox. 46” long, holds a 5” round pot or vase.